From 1987 to 1994 he was with the Bermuda office of KPMG latterly as a Senior Manager. Having moved to Ireland in 1994 he became a founding Partner of Hyland Johnson Murray, Chartered Accountants and Business Advisers and a founding Director of James Hyland and Company, Forensic Accountants. Following a merger in 2009, he is now a Partner in Hyland Johnson Keane, Accountants and Registered Auditors. His professional experience as a Chartered Accountant includes audits of companies of all sizes in a wide variety of industries; advising businesses; taxation of individuals and companies. As a Forensic Accountant, Mr. Johnson has prepared numerous Expert Witness Reports on behalf of both Plaintiffs and Defendants, given evidence in court, written articles and lectured on Forensic Accounting in Ireland since 1994. His experience covers personal injury and loss of earnings or profits; family law; commercial litigation and consequential loss; fraud investigations; tribunals of investigation and shareholder and partnership disputes. He has been an external examiner for the Diploma in Forensic Accounting offered by Chartered Accountants Ireland since it was established in 2008. 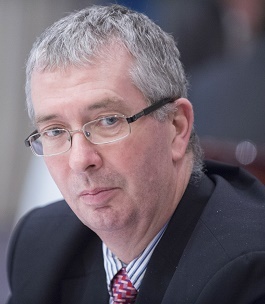 In 2010 he was elected to the Council of Chartered Accountants Ireland and sits on the Audit and Risk Committee, the Members in Practice Committee and is a Director of Accounting Technicians Ireland, as a nominee of Chartered Accountants Ireland. She is a Fellow of Chartered Accountants Ireland and an Associate with the Institute of Taxation of Ireland. 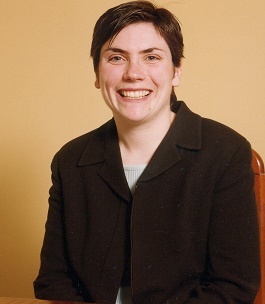 In 1997 she joined James Hyland and Company as a Manager. She has extensive experience preparing Expert Witness Reports for both Plaintiffs and Defendants and has given evidence in Court and at Tribunals. Having qualified as a Chartered Accountant, he held a number of senior positions including Deputy Chief Executive of Golden Vale Group and Chief Executive of Youghal Carpets Plc. In 1984 he formed James Hyland and Company. Jim is a fellow of Chartered Accountants Ireland, a Fellow of the Chartered Institute of Secretaries and a Member of the Chartered Institute of Arbitrators. Jim has a broad range of experience in Forensic Accounting and Litigation Support. He has testified as an expert witness in legal proceedings and provided expert financial advice in a variety of legal situations.